压力探头, 100 hPa, 测量压差和风速 (与皮托管结合使用) - for differential pressure and flowUse the pressure probe to determine differential pressures and flow velocities (in combination with a Pitot tube). Both Prandtl Pitot tubes (? 7 mm) and straight Pitot tubes (? 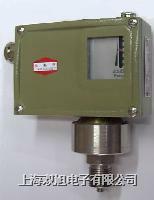 8 mm) can be used for flow measurement.